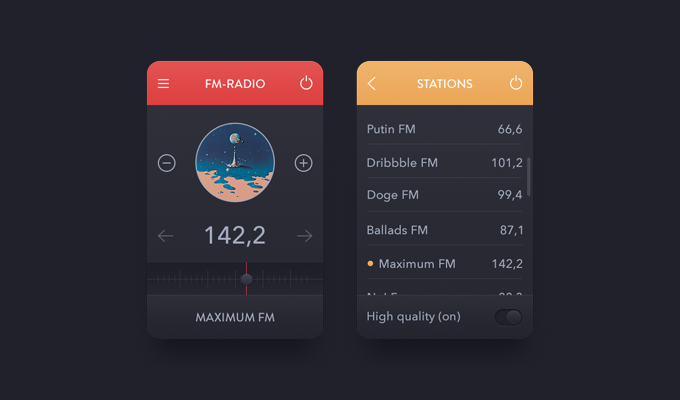 Download Mini Radio FM Station App PSD file. 2 Dark little radio and radio FM station apps with toggle and tuning bar. Enjoy!